Yahoo! still has plenty of work to do in accommodating working parents, but they’re also leading a charge for on-site childcare, an increasingly demanded job benefit amongst young professionals. While free childcare is like a white whale for job benefits — given that the average annual cost of center-based daycare is nearly $12,000 in the United States, fully employer-subsidized childcare is unlikely to ever become a cultural norm — on-site and subsidized childcare has become a priority for job searchers. Companies like the employee-owned Publix Super Markets, Inc. corporation have not only put forth huge money into the partial funding of employee child care, they’re getting good results from the investment. 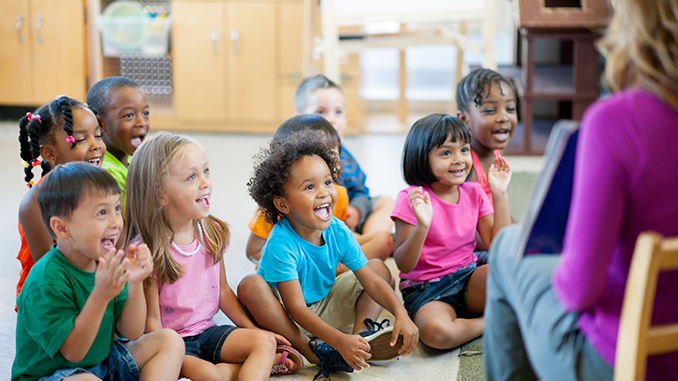 According to a report from the National Conference of State Legislatures cited by Bloomberg, employers have continually offered reasons why offsite childcare can reduce employee productivity and happiness. For example, nine out of 10 companies surveyed reported that childcare was the source of “absenteeism and tardiness,” while 80 percent of companies said that childcare requirements can cut the work-day short. When employees are consumed with the mechanics of expensive and offsite childcare, they’re less available during traditional work hours. With all of that in mind, take a look at our list — which is in no particular order — of 10 companies offering free, almost free and on-site childcare to their employees.